Mallex Smith is going back to the Seattle Mariners, the same team the Rays acquired him from in 2017. 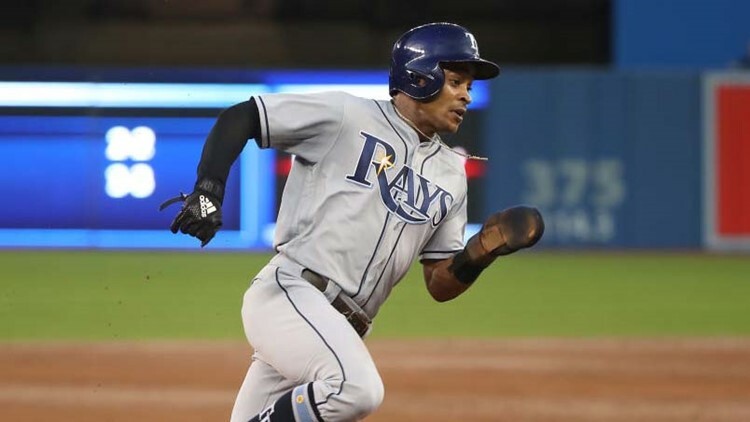 The Tampa Bay Rays are adding power to their offense and defense, trading outfielder Mallex Smith to the Seattle Mariners. In return for Smith and a minor leaguer as yet unnamed, the Rays will receive catcher Mike Zunino and outfielder Guillermo Heredia. Zunino, the 2018 Wilson defensive player of the year, had been with Seattle for six seasons. The former Gator and Florida native batted only .210 in 2018, but he had 20 home runs. Heredia had been with Seattle for three seasons, batting .236 with five home runs. He joins an outfield with Gold Glove recipient Kevin Kiermeier and Tommy Pham, who had an outstanding second half in 2018 after joining the Rays. The deal sends Smith back to the team he was traded from in 2017. He was a solid batter in his two years with Tampa Bay, batting .296 in 141 games last season. He had two home runs last season.